Briseis is a young Trojan woman whose city falls to the Greeks. The men and boys are slaughtered and the women taken as slaves. Briseis is awarded to Achilles as a trophy of war. This is her story. Great Achilles. Brilliant Achilles, shining Achilles... How the epithets pile up. We never called him any of those things; we called him 'the butcher'. 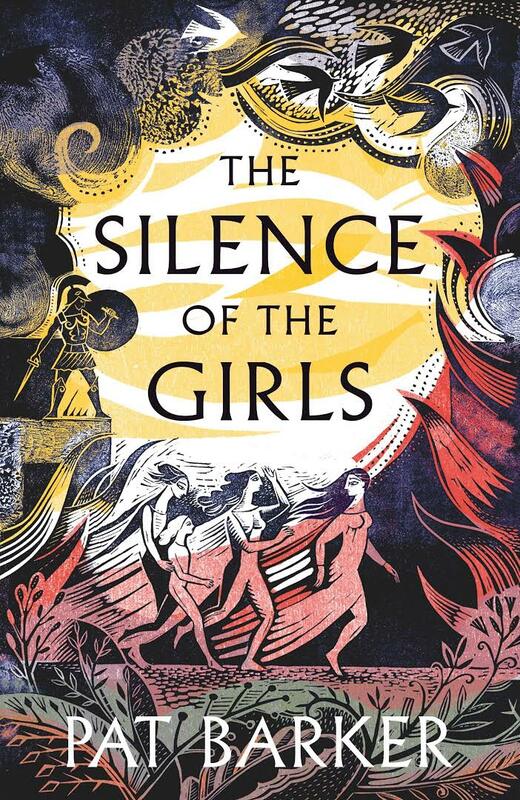 The Silence of the Girls is a retelling of The Illiad that does not shy away from the brutality of the Trojan War, nor the terrible treatment of women and girls. The young, pretty, Trojan women are treated as objects, things to be traded and used. Briseis tells the story from a different side, that of the women whose fates are tied to those who killed their families. At least Patroclus, Achilles' lover, is kind to her and her circumstances could be a lot worse, but she never forgets that she is a slave. Her life is not her own and she must go to bed with the man who killed her father and brothers. Do not mistake this for a romance. Death is not pretty and war doesn't smell good. The quote at the start of the books reminds us that The Illiad is the tale of men fighting over a woman. Helen was just one of those women caught up in the conflict of men. Pat Barker imagines what those silent women would have seen, how they might have impacted the lives other characters the epic poems hold in high esteem. It's a tale of survival and bravery. Briseis is a great heroine. We’re going to survive – our songs, our stories. They’ll never be able to forget us. Decades after the last man who fought at Troy is dead, their sons will remember the songs their Trojan mothers sang to them. It probably helps to have a rough idea of the original story but I find these contemporary retellings are a much better way of getting the story across. It's not like Homer was the only person to write about these myths, so today's writers are just carrying on the tradition. For those that know the story well, it handles the grief well and I felt moved by the transition of Achilles from brutal soldier to a man who has lost that closest to him. Briseis is in eternal grief, for her life, her friends, her freedom. Kristin Atherton does a fanastic job as Briseis. Her reading comes across as a disillusioned young woman, resigned to her fate but not losing herself. Whilst most of the book is first person from Briseis's point of view, there are some third person chapters following Achilles. These were read by Michael Fox and weren't as powerfully narrated, they felt more functional, but maybe that suited Achilles.